State Week has been produced by NPR Illinois since January 1975, created by original WSSR News Director Rich Bradley when the station went on the air. It is the longest running public affairs program on NPR Illinois and was patterned after the popular PBS show Washington Week in Review. Sean Crawford moderates the program. He is joined by a regular panel consisting of Charlie Wheeler, director of the Public Affairs Reporting Program at UIS, and NPR Illinois Statehouse reporters Brian Mackey and Daisy Contreras. This regular panel is joined by one or two guest journalists each week to analyze and comment on the top news stories of the week in Illinois state government and politics. 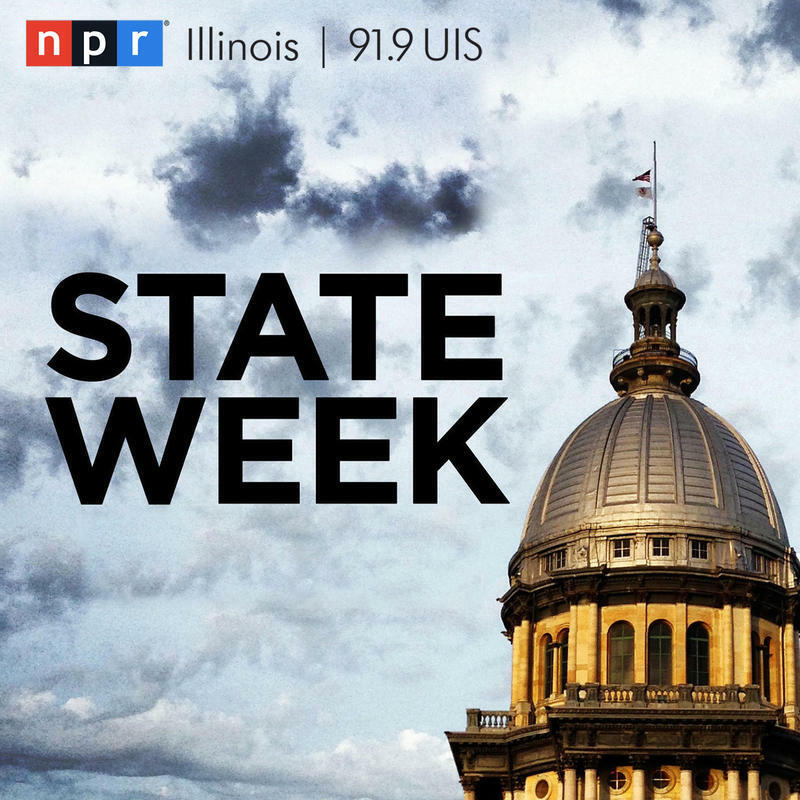 State Week is made available to all public radio stations in Illinois and is also available as a podcast. Subscribe by clicking on Podcast under Ways to Connect on the right. The State Week panel wants to hear your questions (about state government). For one of our end-of-year shows, we'd like to do a Q&A segment. If there's anything you've ever wondered about Illinois government and politics — whether a current event or something historical — we want to answer your question on air. A year-end overview of 2016, in which Illinois finds itself in much the same situation as it was 12 months ago, but with an even deeper budget hole and increasingly dire straits for social services and higher education. Illinois' stopgap spending plan expires December 31st and there is still no sign of a budget agreement. State workers continue to be paid, but social service agencies, colleges, and universities are bracing for a chilly new year. Bernie Schoenburg of The State Journal-Register joins the panel. As Gov. Bruce Rauner continues attacking Democrats, it's looking increasingly likely that Illinois will enter 2017 without a budget. Meanwhile, former Congressman Aaron Schock pleaded not guilty to federal corruption charges. It’s been 1 year, 5 months and 9 days since Illinois government had a full, regular budget. Legislative leaders continue painting their counterparts in the other party as the main obstacle. Meanwhile rank-and-file legislators have gone without pay since June, and now a group of Democrats are suing, saying it’s an attempt to coerce them into going along with Gov. Bruce Rauner’s agenda. Nuclear plant workers in Clinton and Quad Cities — not to mention Exelon and ComEd shareholders — got a helping hand from Gov. Bruce Rauner and the Illinois General Assembly. But there was no such luck for the many social service providers, university students and countless others hoping for Illinois' first full budget in a year-and-a-half. State Week: The Nuclear Option — No Budget Before 2019? Exelon says without a special deal from Illinois lawmakers, the company will close nuclear plants in Clinton and the Quad Cities. And with just one more week of veto session, what are the prospects for a full budget deal before the end of the year — or 2019? State Week: More Meetings, Less Progress? Democratic leaders met for the the first time in months. Judging from their diverging responses, you might wonder if they were actually in the same room. Meanwhile AFSCME members rallied after getting bad news from the state labor board. An election season of unprecedented spending on negative advertising is coming to an end. How does it rank? And what does it mean for the future? State Week: Is Illinois Voting 'Rigged'? Donald Trump's talk of "rigged" elections prompts Illinois and Chicago officials to say widespread voter fraud is a thing of the past. Meanwhile, a Chicago Democratic operative feels the burn of a conservative undercover activist. And could there be unintended consequences for state parks if Illinois voters approve the so-called transportation lockbox? Illinois Republicans continue to struggle with their reactions to Donald Trump's bus video. Congressman Rodney Davis withdrew his endorsement while Gov. Bruce Rauner continues trying to dodge the question. Meanwhile, the Chicago Tribune editorial board is backing Democratic Congresswoman Tammy Duckworth over Republican Sen. Mark Kirk, citing concerns about Krik's ability to do the job following his 2012 stroke. And the advocacy arm of the conservative Illinois Policy Institute has screened its movie attacking House Speaker Michael Madigan. A federal judge has put limits on election-day voter registration in the most populous parts of Illinois. The governor's office has a rosier view of the Illinois deficit then legislative analysts. And Donald Trump once again shines a light on violence and policing in Chicago. Gov. Bruce Rauner stuck to his script during his Facebook Live event. He also denies that his legislative agenda is "hurting some class." State Week: Rauner Ignoring $16m Investment? Gov. Bruce Rauner has donated $16 million of his fortune to help elect Republican candidates. But he also says he's not really involved in the election. Huh? This week, discussion of a recent ruling on negotiations between AFSCME and Governor Rauner. Also, enrollment numbers released for the state's public universities, and reflecting on the death of Phyllis Schlafly. Illinois Issues' Jamey Dunn and Ivan Moreno of the Associated Press join the panel. Advocates for changing how Illinois’ legislative districts are drawn are not done yet, there’s continuing fallout from the ongoing unnatural disaster known as the Illinois budget, and Chicago violence hits a grim milestone. The Illinois Supreme Court has rejected an attempt to change the way Illinois' legislative districts are drawn. This week, convicted former governor Rod Blagojevich's resentencing resulted in the same 14-year prison term. Also, Michael Madigan's failed primary challenger is suing him for defamation of character. Illinois Issues' Jamey Dunn, WBEZ's Tony Arnold, and Jason Meisner of the Chicago Tribune join the panel. Donald Trump continues causing headaches for down-ballot Republicans. Meanwhile, state legislators are already airing TV ads, and a conservative group sues to block same-day voter registration. The eyes of the nation were on Philadelphia this week as Hilary Clinton claimed the Democratic nomination for president. 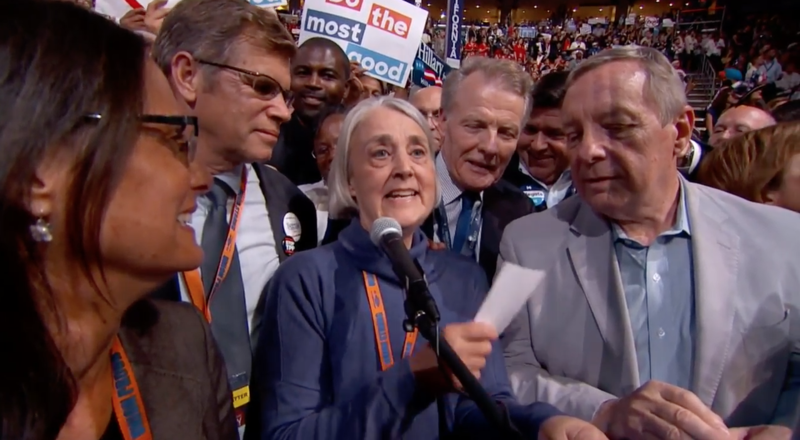 But among members of the Illinois delegation, a lot of eyes were looking back home, to the 2018 campaign for governor. Gov. Bruce Rauner may be done with the presidential campaign, but the presidential campaign isn’t done with Gov. Rauner. State Week: Will State Workers Strike? A state labor board declined to rush the Rauner administration's request for a speedy decision on a dispute with state employees, while the AFSCME unions seems to be readying for a strike. We'll also talk about what last week's stopgap budget means for schools and universities.